Many years ago someone said to me, If you are not 5 minutes early then you are late. This little advice helped me greatly in my life. Being on time says a lot about who you are as a person in terms of attitude, respect, and consideration for the other people. 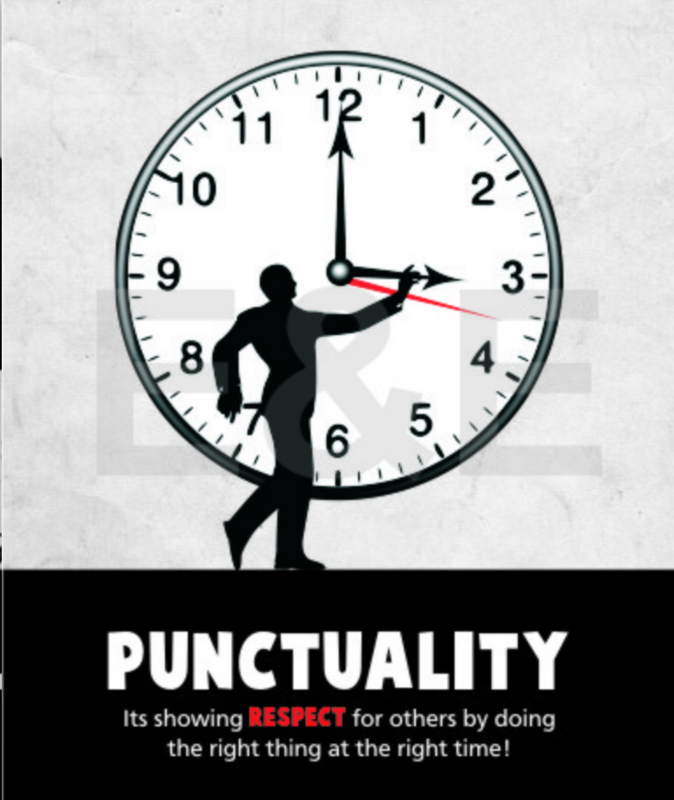 One doesn’t need to be an expert to be punctual, however, most successful people (Gandhiji, Amitabh Bachchan, Sachin Tendulkar, Bill Gates, Narendra Modi, Ratan Tata, Dr. APJ Abdul Kalam etc;) are punctual, a common trait. There was an interesting research done at IIT Banglore where they analyzed large data sets identifying the behavior of top achievers. They were surprised to identify that it was not just the talent or hard work but their punctuality which was common amongst all of them. It is such a simple thing to do but most people find it highly difficult to follow. Some people pride themselves on being on time. For others being on time is only something they think about when they are late. After 25 years in the same church, Father Williams was saying his goodbyes at his retirement dinner. A prominent member of the congregation, a leading politician, had been asked to give a short speech but he was very late. So the priest took it upon himself to fill the time and stood up to the microphone. Being on time, of course, is the moral of this story. But If you think about it, this simple aspect of life can have a huge repercussion on where you end up in your life? Despite losing World wars, almost destroyed by two atom bombs (Hiroshima and Nagasaki), still Japan is considered to be the first world economy. Why? It is because of their punctuality in every aspect of the life. You would be surprised to know that If the train is delayed beyond a few minutes, each passenger is handed a “Delay certificate” which they can produce at the office to excuse them from being late [Delay certificate – Wikipedia]. I heard last time there was a 30min delay in the train, the minister for transport made a public apology on national TV. See, if we want our child to be punctual and disciplined then, we need to be punctual and discipline. If we want to instill values in our child, don’t tell them what to do just lead by example. Small things that you do in your daily routine life have a profound impact on your child than preaching them how to be good or how to behave well? 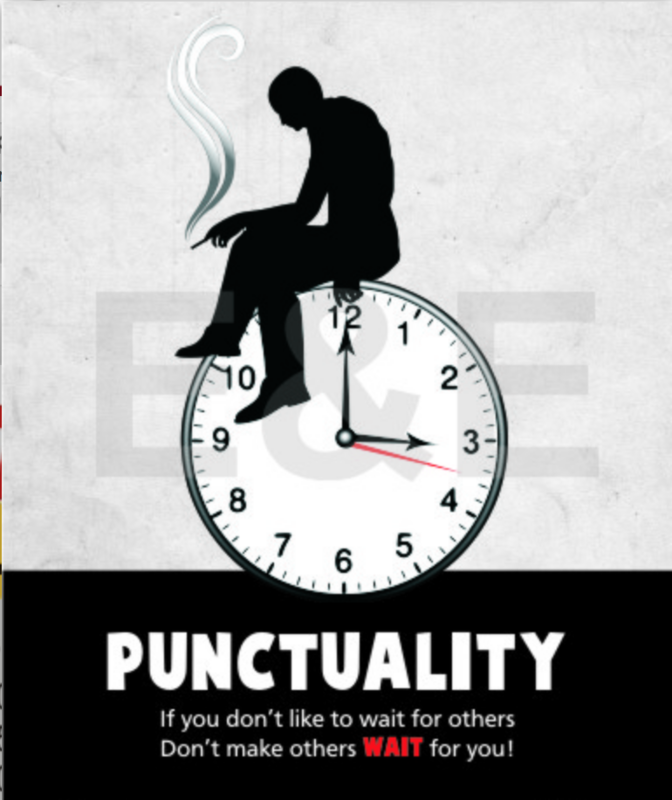 Pingback: Punctuality – Habits of Mind – We, the Millennials!